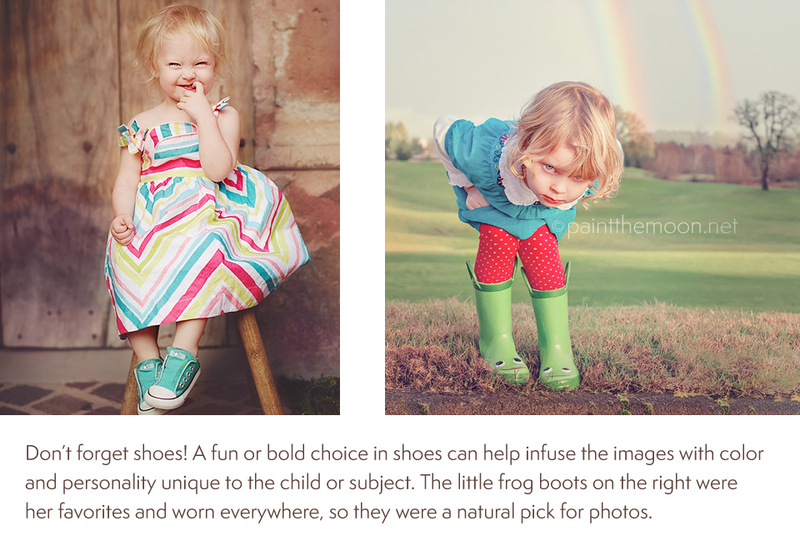 Tips for photo sessions, styling tricks, photo examples and a Where-To-Shop resource guide. Jump to Shopping Resource Guide. 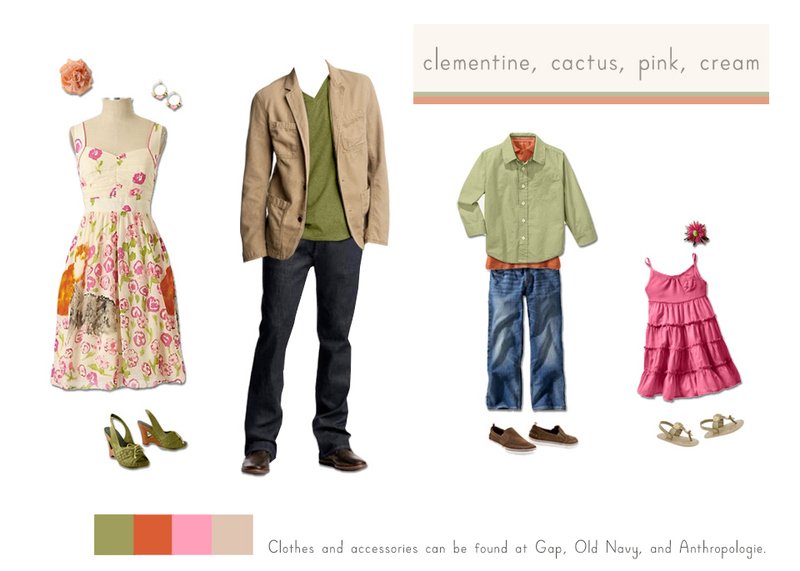 When styling a photo session, I like to start out with a basic color palette and go from there. It can help to have one “rock star” in the photos who carries a pattern in their outfit that the rest of the group’s clothing or accessories pulls from, while keeping everyone else’s outfits more simple. You can do this with a neutral and a few colorful brights, or try a softer palette that has different tonal ranges of the same shades. 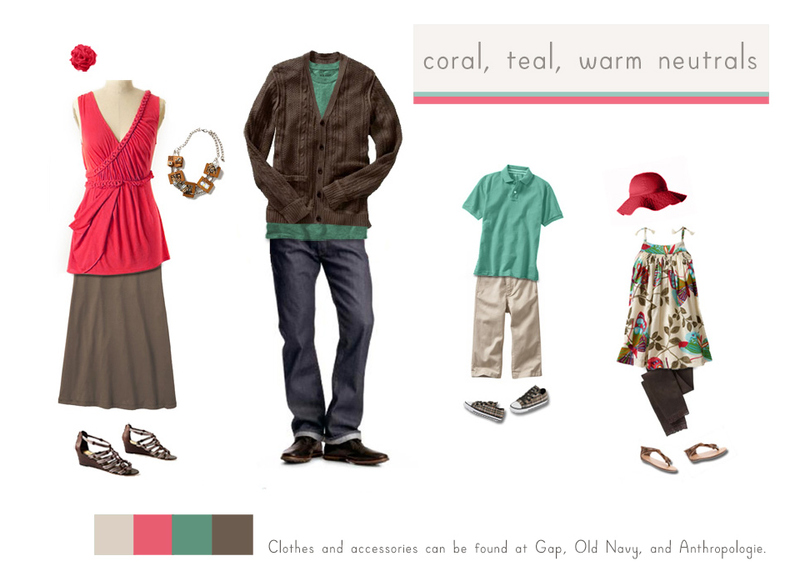 Pick out a few color pops to coordinate between subjects when working with a palette of softer tones or neutrals. It tends to be easier to find the “center stage” pieces in girls and women’s clothing, so I’ll often start with the females and then pull colors from their outfits to create a look for the boys and dads. …and think outside the box. 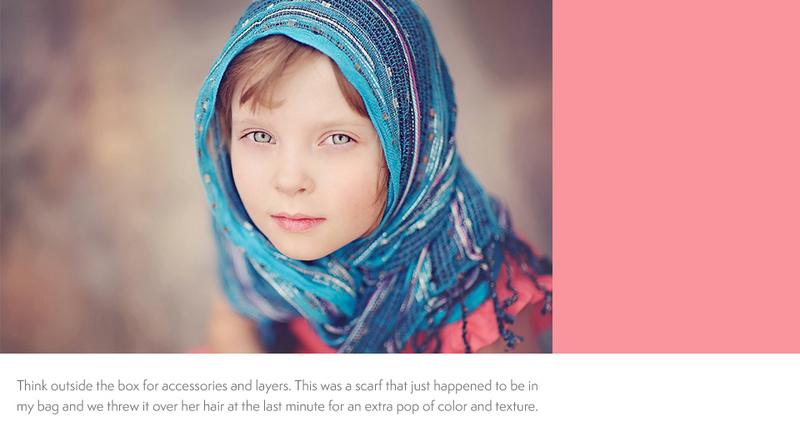 Scarves, hats, flowers in the hair for girls, jewelry, sweaters, vests, jackets, etc. – all these things can take a ho-hum image and make it feel “complete.” Don’t let the accessories overwhelm the subject or the photos though. 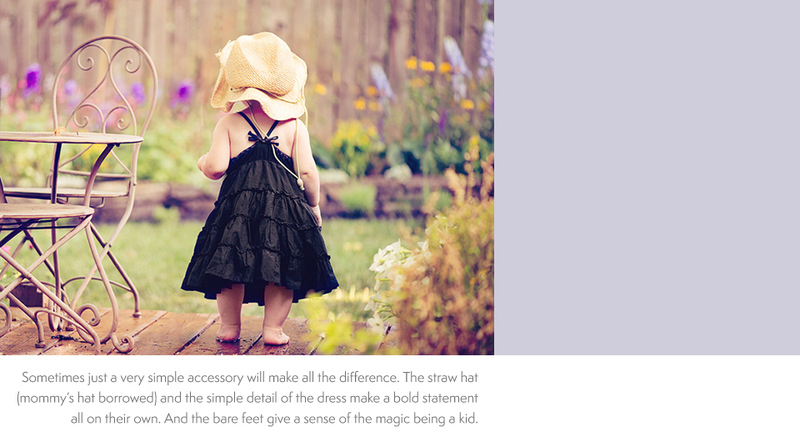 I believe that especially with sweet babies and toddlers that they don’t need much in the way of “accessories.” Little kiddos are beautiful in their simple purity, and I want them to be the star of the show instead of making one’s eye go straight to a giant headband as big as their head as they sit awkwardly in a big bucket. I want the viewer to notice my subject and their personality first. The accessories and clothing should just complement them – not be center stage. 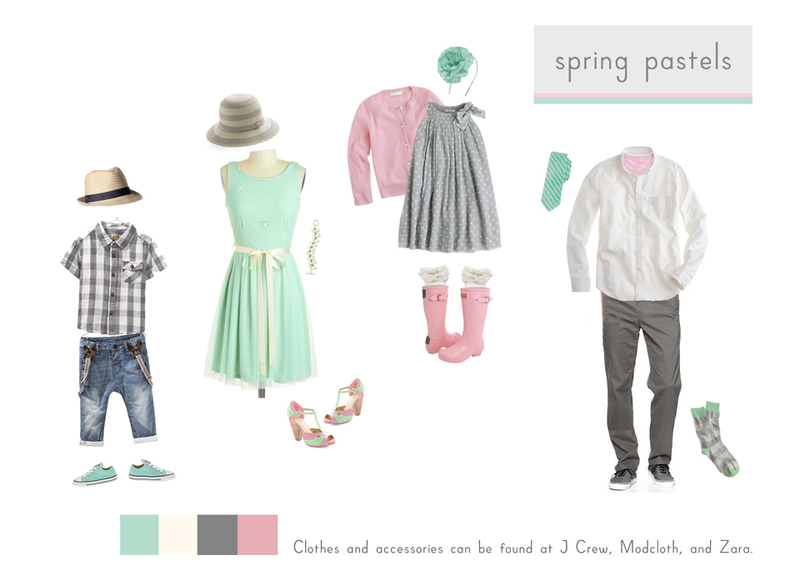 Choose your accent colors and fill in outfits with those punches of color in accessories. For instance, if big sister’s patterned dress has tones of aqua, coral and gray, have mom wear a coral headband and little brother in an aqua pair of Converse and bow tie. Show off the kids’ and your unique personality with accessories! There are a few bonuses to using accessories well (as well as layers). One is that changing them up a bit throughout the session can give you multiple looks without having to do many wardrobe changes. They can also be something that the subjects can interact with. A sassy little tip of the hat, holding the ends of a scarf while running and letting it billow behind you, grabbing the lapels of a husbands jacket while pulling him close for a kiss – all these little gestures and ways to interact (and become more comfortable in front of the camera) can be made possible with styling choices. Many of my sessions will feature items used outside their intended use or subject. My girls are often seen in mommy’s hats or scarves (scarves can be used in different ways like wrapped around their shoulders, as a hair piece, etc) and they love to wear my costume jewelry. are beautiful and create interest in photos. I absolutely love using multiple textures and layers, especially important when working with a color palette a bit on the neutral or softer side (with a subtle color pop here or there). 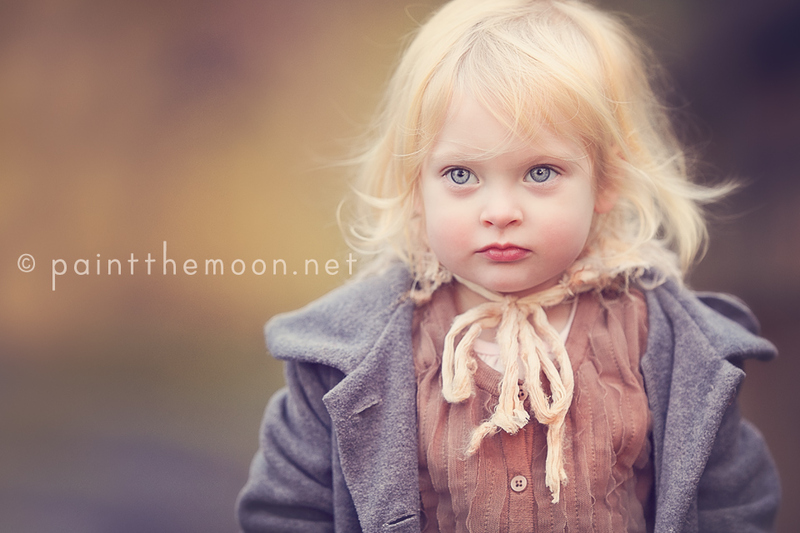 When I say textures one of the ways to achieve this is with different clothing materials and accents – tweed, crochet and embroidery details, lace, hand knit items, smocking, ribbons, ruffles, etc. 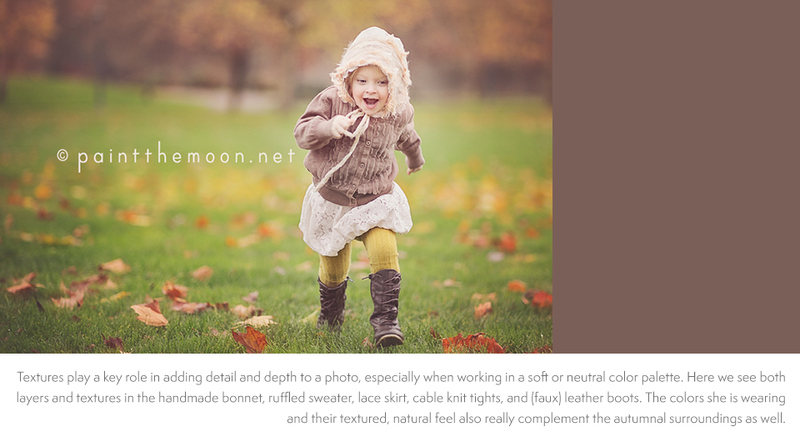 Also, having different layers of clothing and accessories can add another dimension to the overall texture of the image. 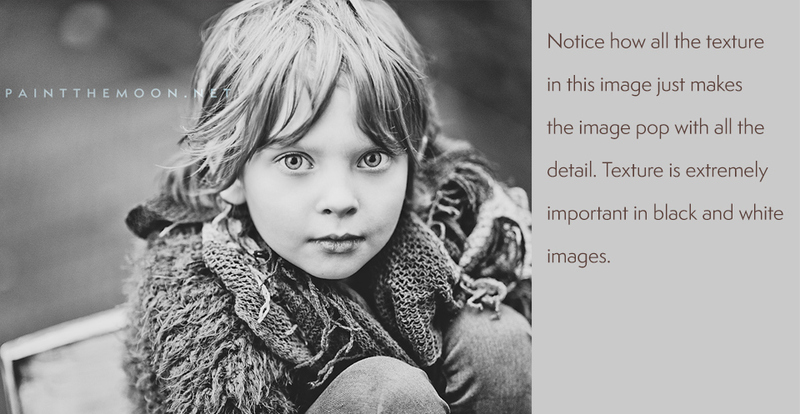 These details and added depth are especially important in black and white images. And it can be done beautifully with colorful brights or just pops of color here and there as well. 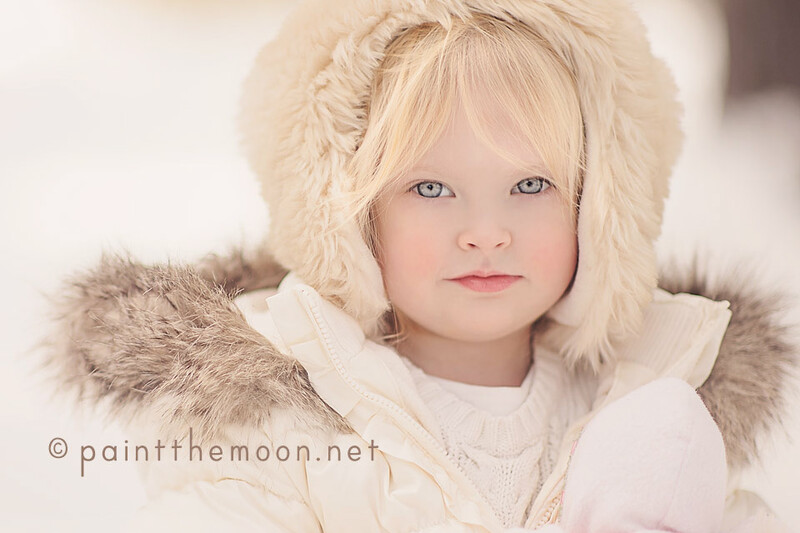 Follow your own vision and style, also looking to what fits your subjects best. that blend with the the vibe of the session as well, but keep them simple and meaningful. 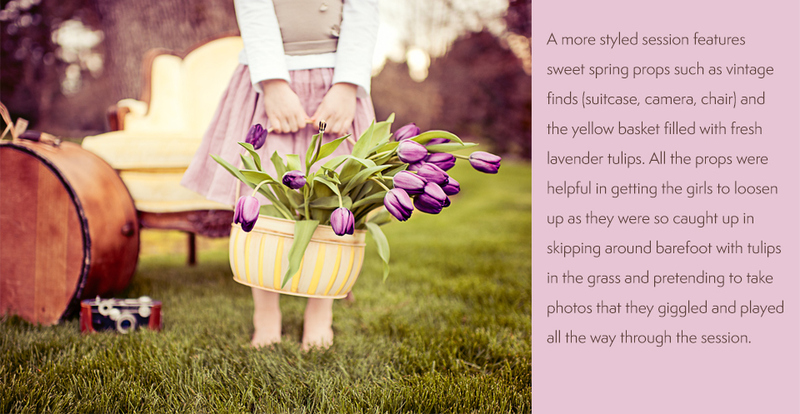 A handful of flowers that are a natural, neutral color or that coordinate with color pops in the subjects’ clothing, a vintage camera, a basket of apples, or the absolute best type of prop is something that is meaningful to the subject (grandpa’s vintage camera, their favorite stuffed animal, a quilt made by great grandma, the family’s beloved pet). But don’t let the prop be an odd distraction – make sure it “makes sense” being in the photo and blends well with the whole vision you had in mind for the shoot. Shoes matter. 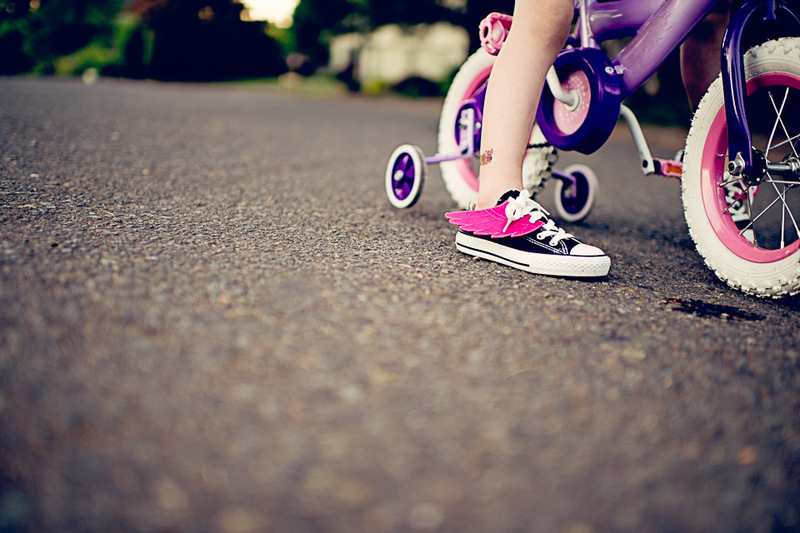 Please don’t wear sneakers – unless we’re talking about some funky Converse that go with the feel of the session. The choice of shoes can make or break an outfit. Slipping on a pair of hip, distressed boots or some colorful ballet flats can tie everything together and complete the feel of the session. 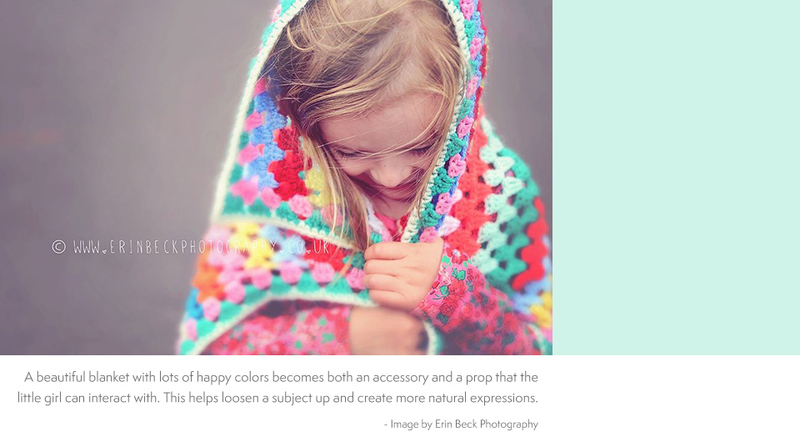 Think about coordinating those bright and colorful shoes with other accessories and clothing in the photo – not necessarily on the subject themselves, but rather match little sister’s bright turquoise shoes to the sweater or scarf her mama is wearing. It ties everything together without looking too match-y match-y. And many times NO shoes looks best, especially if you’ll be sitting or in poses where the bottoms of shoes can be seen – that never looks pretty. And don’t forget some funky socks to add another splash of color or personality if your overall look of the session is fun and bright. How will the images be displayed? Think about the primary reason you are doing the session and dress accordingly. For instance, if it’s for Christmas cards you might want to dress in wintry, seasonal clothing. For a gallery canvas in the living room, think about coordinating with the colors and feel of your decor. 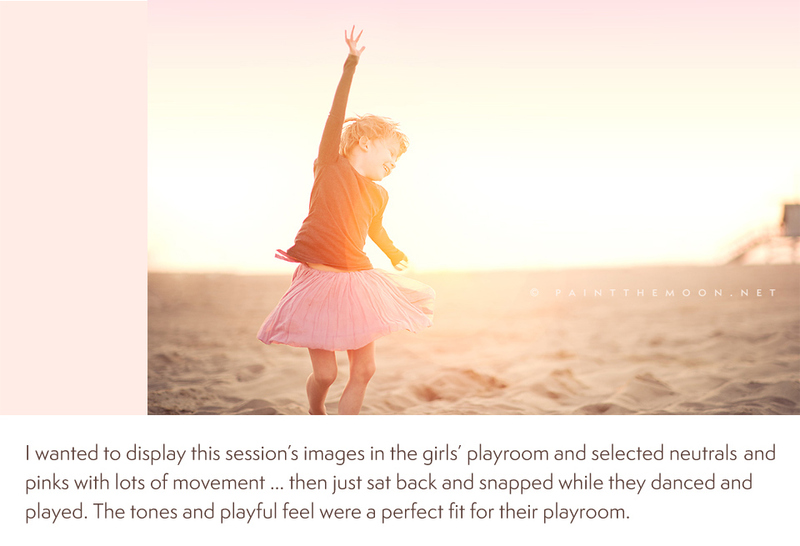 For the canvases I hung in my girls’ playroom I dressed them in twirly, pink dresses and they ran dancing through the sand on the beach, which meshed perfectly in the girly room that’s always filled with giggles and play. This is more of a personal choice, but I tend to choose clothing that is timeless, perhaps a little vintage in style. Whatever your style is, make sure your choices won’t look terribly dated years from now (or months in the case of some quickly passing trends). I personally love to use softer or neutral tones (with a color pop here and there) and classic shapes, then add interest with accessories, layers and lots of interesting textures. I also happen to love bright and colorful as long as it’s not obnoxious or distracting from the subject’s personality and face. Of course, this is a personal choice and many families will choose to go all out in the latest trends, thinking of their clothing choices as a sort of time stamp in their images. When shooting in wide open locations and it involves kiddos, I love to have some movement and flow in their clothing and accessories. Little ones are fond of jumping, dancing, and being wild. 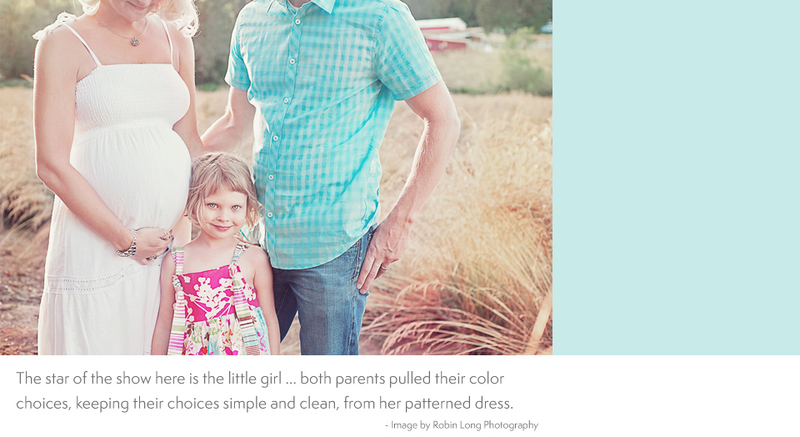 Nothing better than a twirly, whirly dress to accentuate all that beautiful movement and childhood innocence. Something as simple as a scarf trailing behind or a playful super hero cape can be fun for the boys. Make sure that the children can move freely in their outfits and that they aren’t going to be pulling and scratching at their new clothes. 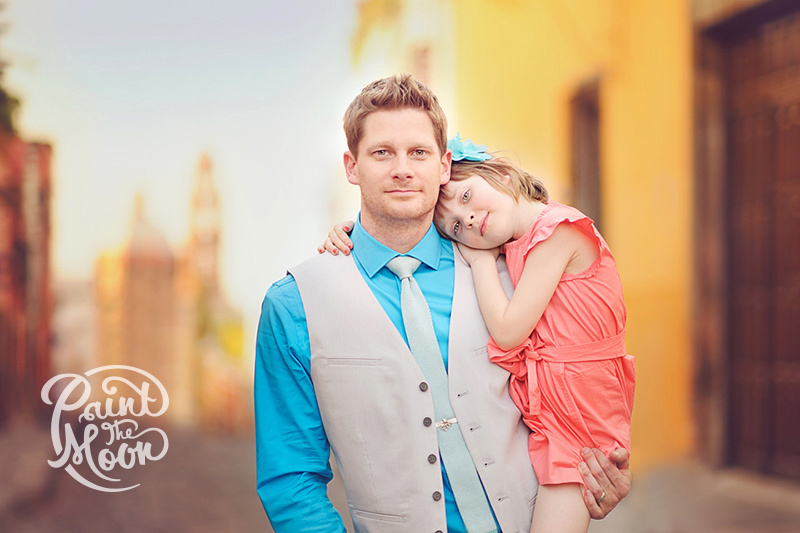 You want them happy and comfortable, not grouchy and miserable during the shoot! This means letting them have some input in what they wear. 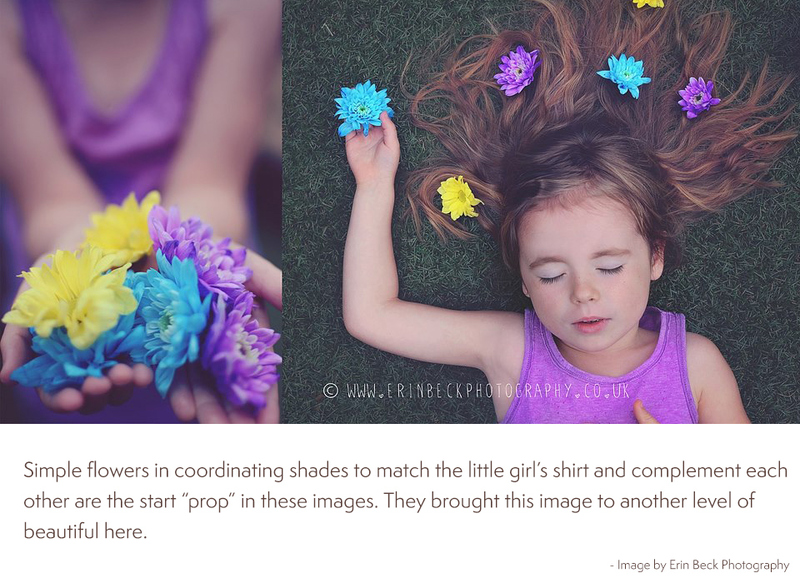 Kids who help dress themselves will not only be much happier campers when shooting time comes, but you’ll let their own beautiful personalities shine through in the images. 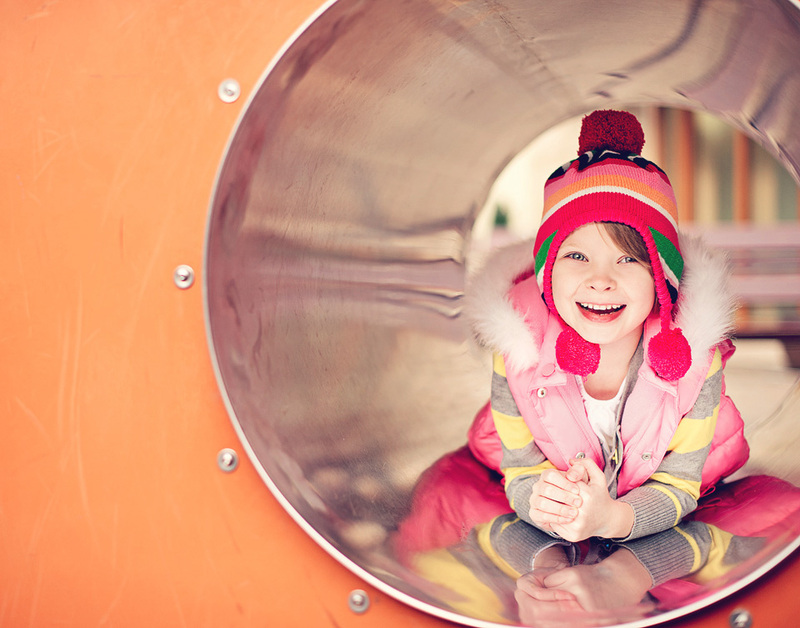 Also, try not to make kids change outfits more than a couple times – another reason all those layers and accessories can be handy. The same goes for you – make sure that you select an outfit that makes you feel stunning and relaxed. Patterns are good – in moderation! Patterns can add visual interest and texture as well as a good dose of personality. 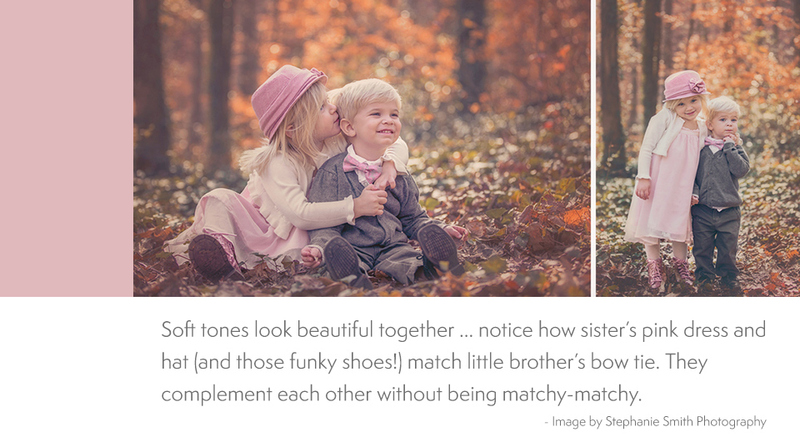 Just make sure that either just one person is in a pattern with the rest of the subjects in simple, more solid color pieces or the patterns are subtle and complementary (for instance, a teeny tiny polka dot tie on a little boy next to his sisters bold color blocked pattern can look very complementary). 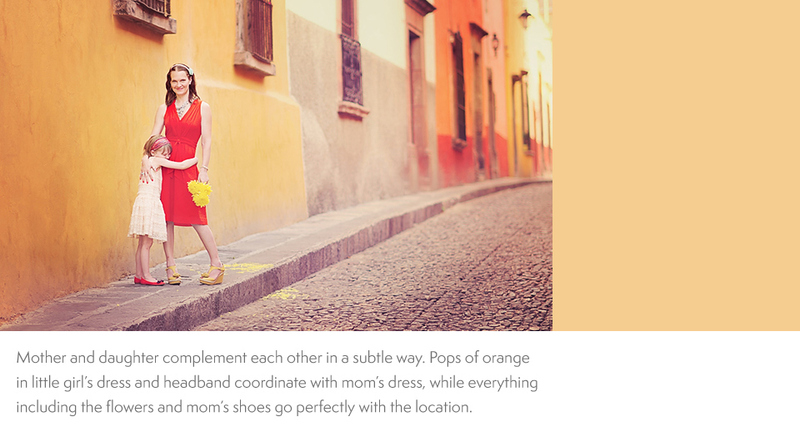 Think about your location and make sure your wardrobe complements the surroundings. 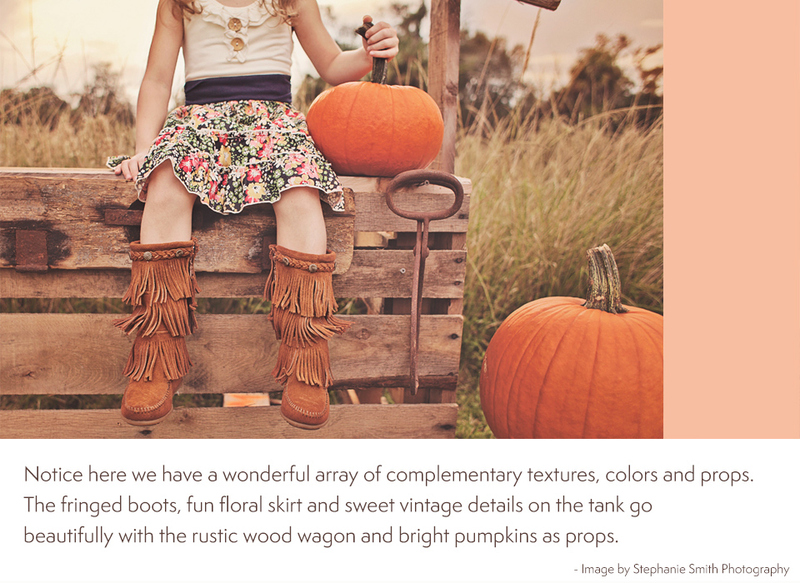 For example, at a location in a field with a rustic barn in the background would be perfect for a little girl dressed in a simple, vintage style dress with Hunter wellies, pig tails and carrying a little vintage tin pail full of wildflowers. That same look might be out of place in an urban setting with a graffiti wall in the background. Also, consider how well the colors and patterns in the wardrobes will stand out against the backdrops of your location. A field of bluebonnets might not be complemented by an outfit with a floral pattern or the same blues and greens in it, but would look beautiful with a solid coral colored dress to pop off of the colors of the flowers and grass. Many times I’ll select a location first and then create the wardrobe, accessories and props to fit with the vision I see for the surroundings and session vibe I want to come out of it. …hoping to inspire your clients in their choices of clothing and accessories, make sure that the work you are displaying portrays the kind of look that meshes with your style. Offer to help select clothing and even go the extra step to assist in shopping for new pieces or outfits. Many times I’ll arrive at a client’s home and they’ll have put together several options for looks for the kids or family, and then I can assist in making the final decisions. Another quick option is to just have them email you a few quick iPhone shots of the outfits they are considering so you can lend a little guidance. And feel free to point them to this post for pointers and examples! … many of them obvious no-no’s but important to include again as a refresher. Avoid anything with logos, graphics, characters, labels, etc. These tend to take the “finished” look of a professional portrait down a few notches, can be distracting (who wants people to first notice the Nike or Gap logo before the adorable little kid’s smile?) and will date a photo quickly. I’m having flashbacks to me wearing Esprit tee-shirts with my Guess jeans back in grade school, right along side my little brother in his Gotcha shirt (and if you’re sitting there wondering what I’m talking about, you must not be an 80’s child, LOL). Note: There are a few instances where a more stylized graphic on a shirt can look good if it fits the vibe of a photo, for instance, in my six year old’s birthday session we did a total punk rock theme to go along with her party. She wore a Johnny Cash tee with her tutu and baby sis rocked a Ramones tee. Don’t make everyone wear all the same color – matching is boring and dated. Coordinate colors and looks, letting everyone have their own spin on the color palette (and every person does not – should not – have every color used in the color palette). And please no families all dressed in khaki pants, or all in denim and white shirts. No bright white socks and no sneakers unless we’re talking about something fashion forward and simple like Converse or Vans. And also be sure to remove watches or jewelry not complementary to the session’s look. Target stores also have great options for the littlest kids. I think most of their stuff for children once they hit about 6 years old starts to be not as stylish. My Little Jules – A wonderful boutique that carries a wide range of clothing, shoes and accessories for little ones. 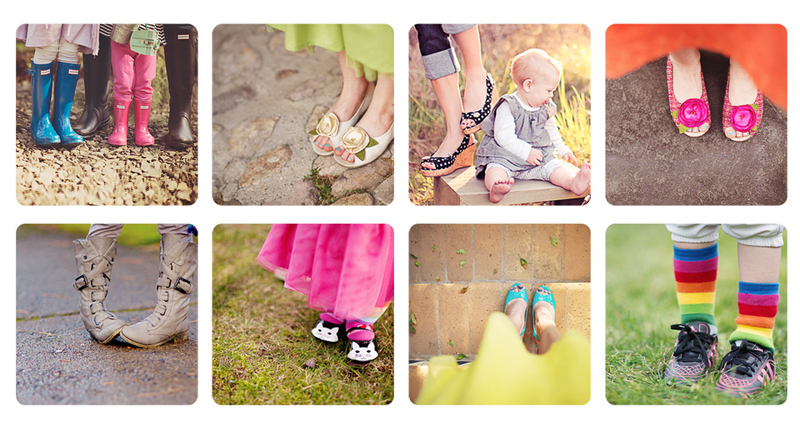 Dollcake is one of our favorite brands there, as well as the Livie and Luca shoes. a. bird – Timeless, classic creations. 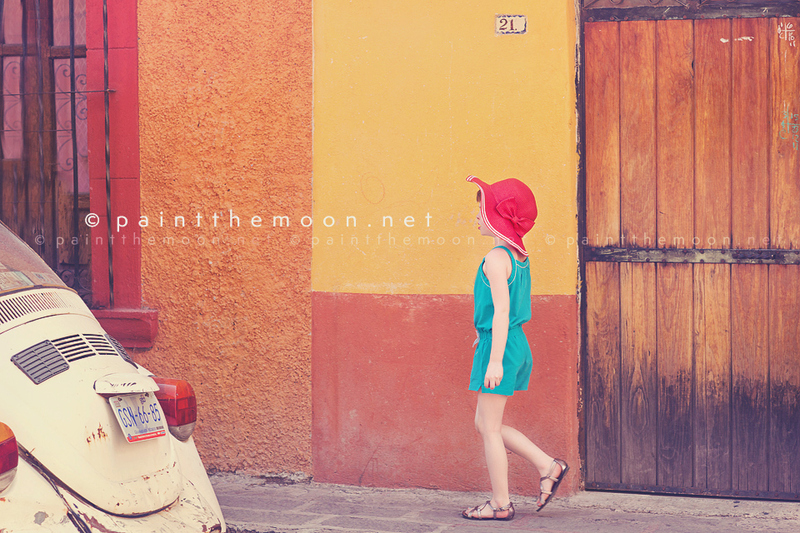 TutuDuMonde – Gorgeous creations for little girls … a bit on the spendy side, these are investment pieces. 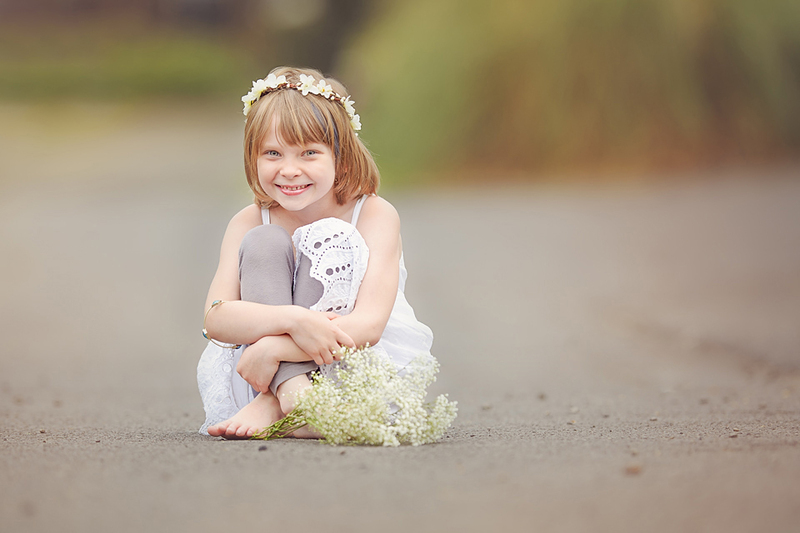 Wild Things Dresses – Handmade, adorable dresses featuring sweet animals and lots of whimsy! A good portion of what I choose for my own kids and for myself are finds when good boutiques come on the following sites (you have to keep an eye out because when a good brand pops up they tend to sell quickly). These sites also have great finds for the rest of the family, even for your home. I find a lot of my jeans there, as well as fun shoes, accessories and sweaters. Some of the brands I’ve picked up for myself there are 7 For All Mankind jeans, Hudson jeans, Paige Denim, Current & Elliot jeans (yes, I love my denim), Free People, some vintage finds when they have a Vintage Bazaar boutique (great for props), etc. Bonnets, hats, newborn accessories – Veronika G.
Newborn hats, pants, accessories, etc. – FAAS, Inc.
Etsy is an endless source of inspiration. Annie, Wow what a wonderful post! So much thought and detail went into this and so much great advice from a true pro. Thanks for sharing! Thank you so much for posting this article. It will be a great resource for my clients. So kind of you to offer this for free, I’ve thought about purchasing the what to wear guides but always to do something else with my cash:) I know my clients will love this!! 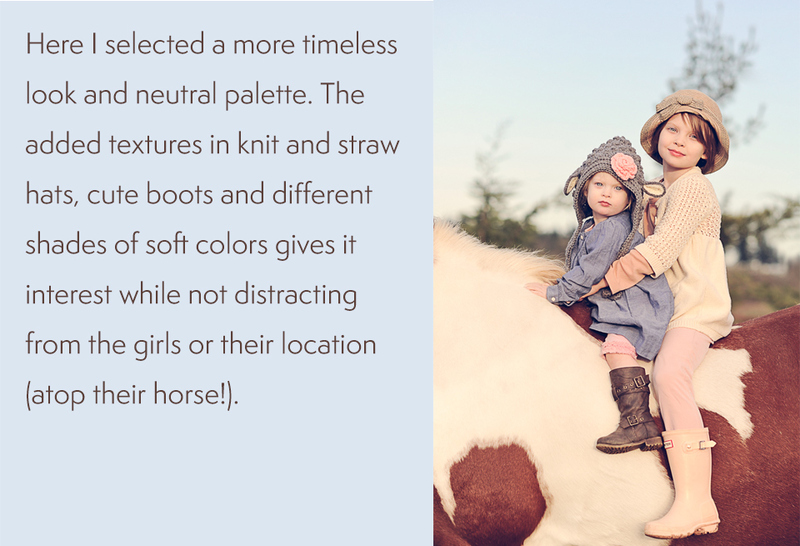 Like this — so true about creating the look of timeless photos. I love your website, actions & posts! Thanks very much for all your time! Really seamless photography. The clothing and accessories are very well thought out. Great stuff! superb ideas, especially for us just learning studio, thanks so much!!! Thank you for this informative and beautiful post. 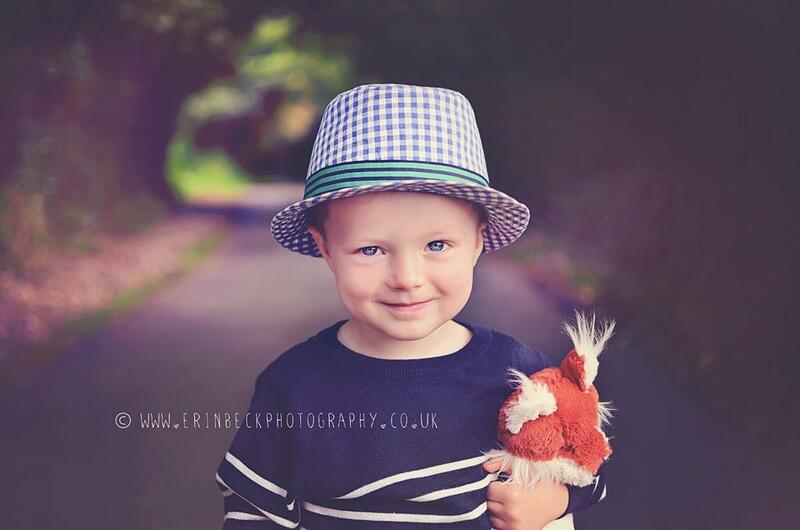 I shared it with my clients and only do photography part-time right now but love it so much! 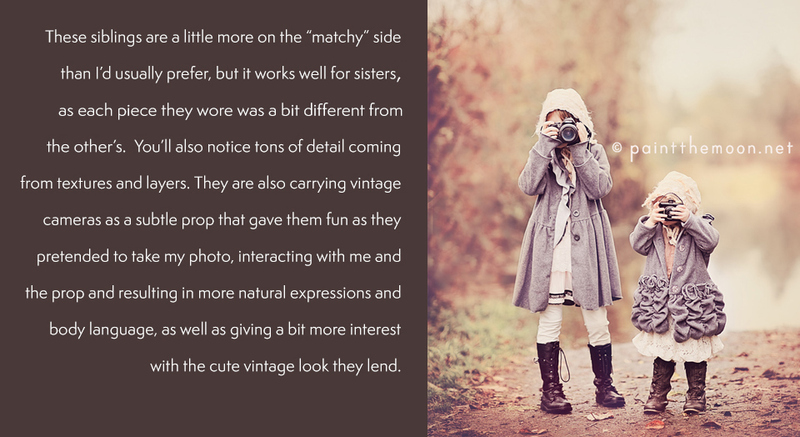 Excellent article on clothing for family portraits! 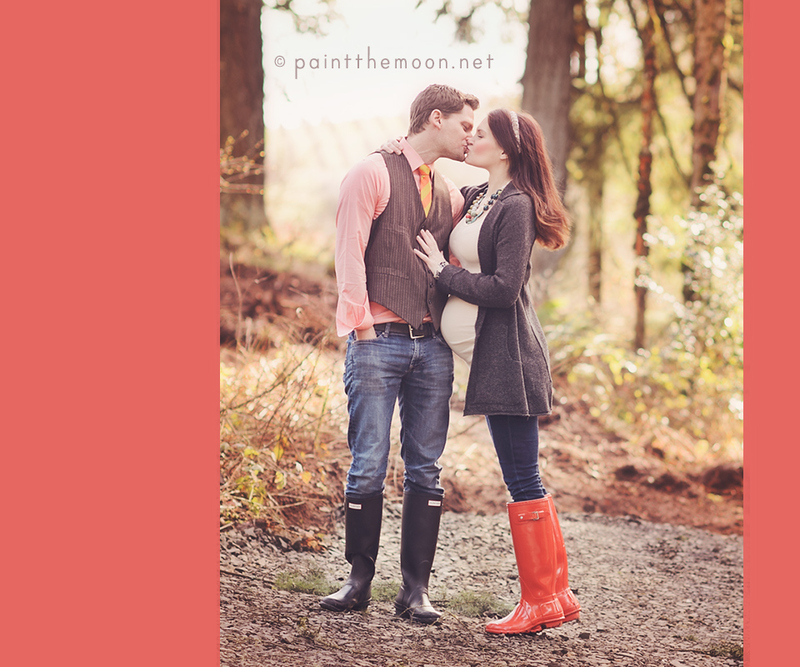 People often have no idea where to even start when planning clothing for their portrait session. You really hit all of the important things on the head.